Mahindra Racing are giving a chance to four MotoGPTM fans to win a chance to see Malaysian Grand Pix near Kuala Lumpur, all you to do is to participate in the #RaceToMalaysia competition. 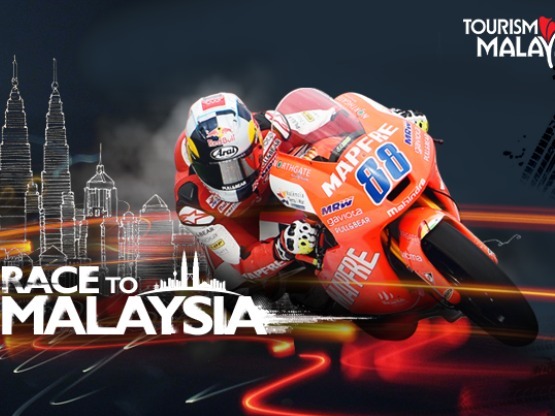 Mahindra Racing, the only Indian motorcycle manufacturer in MotoGP™, has teamed up with Tourism Malaysia to provide the winners with an extensive weekend of race action plus sightseeing and exploring Malaysia’s stunning capital city. The winners will also get the chance to meet the MAPFRE Team Mahindra riders Pecco Bagnaia, Jorge Martin and Juanfran Guevara and see the Mahindra MGP3O Moto3™ race bike up close. Entry couldn’t be simpler*, with contestants asked to answer five Mahindra Racing and MotoGPTM questions and telling Mahindra Racing why they should be picked for this prestigious prize. We are delighted to be able to offer this prize to four of our fans. We know our loyal fans back in India are cheering us on every step of the way. Mahindra Racing is proud to represent India in MotoGPTM and we want to encourage more Indian youngsters to learn about the sport and get involved.